JEE Mains will happen twice in a year now, in the months of January and April. Aspirants may appear for one or both as per their choice. JEE Mains, which was taken in online mode by around 2.5 lakh candidates, will go fully computer-based, under NTA, in order to make it more accountable, minimise incidences of paper leak and come at par with international standards of assessment. Every student will get the opportunity to attempt the examinations twice to avoid drop-year cases, which could have been due to any unavoidable circumstances like an accident or sickness/disease. Students will be able to go practice mock tests from August-end at examination centres, free of cost. The results will be able to be processed faster and more efficiently. Major examination reform, NTA, is now operational. It will be conducting the NEET, JEE mains, NET, CMAT and GMAT examinations effective this year. Announcing the schedule of National Testing Agency, the new arrangement made by the MHRD will garner a lot of benefit to the students of the country. The candidates who would appear for these tests will be able to use the best score from the multiple attempts during the counselling process. It will also curb paper leaks and it will all be computerised. Neither the syllabus nor format of these examinations will be changed, not even the nature and the kind of questions. Only the method of taking the examination will change. It will all computer-based and conducted in online mode. JEE Main 2019: The final schedule for the Joint Entrance Main (JEE Main) examination has been released by the Union Human Resource Development Ministry today. The first examination will be conducted from January 6 to 20, 2019 and the second examination from April 6 to 20, 2019. The ministry had earlier decided that the examinations will be conducted twice a year. Declaration of results: April 30, 2019. The JEE (Advanced) will continue to be conducted by the IITs. The Joint Entrance Examination (JEE) (Main), for undergraduate admission into various engineering colleges, will be held in January and April. In another significant change, these exams will be held over many days, and students will have the option to choose a date. Moreover, if a student appears for the JEE (Main) and NEET both times, the best of his/ her two scores will be taken into account. The main feature is that students will not lose one year because there will be two examinations before admission. He/ she can appear in either of the two, or both. The best score will be taken into account for the result. The government said the move was meant to give students more choice and reduce stress due to “single exam conducted on one single day in the year". This will give more chances to students, thereby giving adequate opportunity to bring out his/ her best. All the tests will be computer-based, and practice modules will be made available on the NTA website. For instance, the modules for next year’s exams will be out by August. “Students can practice, if need be, in the nearby engineering colleges, CBSE/ KV schools etc. The NTA has been mandated to engage experts in relevant fields to create a robust examination system, he said. It will create a network of test centres, and students will be able to use them free of charge. The exams will be more secure and at par with international norms. There will be no issues of leakage and it would be more student-friendly, open, scientific., The syllabus, question format, language and fees for the exams would remain unchanged. So, National Testing Agency or NTA will be replacing the competitive exams related functions of CBSE and will conduct NEET and JEE Main exams twice in a year from next year. Joint Entrance Examination (JEE) Main has been held by CBSE on behalf of Human Resource Development (HRD) Ministry. 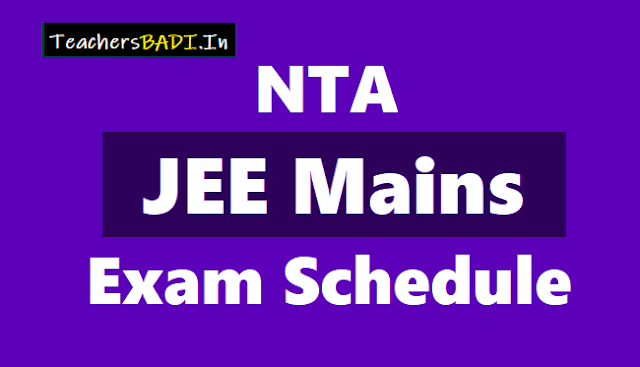 JEE Main is being held as an entrance examination for admission to engineering courses and as also a screening test for JEE Advanced, its scores have been used for admission in institutes like IITs and NITs. NEET is national level medical entrance examination and its scores have been used for admission in medical and allied courses across the country. Under NTA, these exams will be more secure and at par with international norms, claimed the minister. There will be no issues of leakage and it would be more student friendly, open, scientific and a leak-proof system. NTA is expected to bring in qualitative difference in the examination process by its focus on research and scientific test design using services of Experts, Researchers, Statisticians, Psychometricians, Test Item Writers and Education Specialists. The item writers would be trained to ensure that the quality of questions is as per the test design. The experts, statisticians and item writers/subject matter experts are already identified for being inducted into NTA. The new system will be student friendly, fair , transparent and flexible. The syllabus, question formats, language and fees for the NEET, JEE Main and NET exams would not be changed. The time table of the exams to be conducted by NTA would be uploaded on the ministry's website.